← Why is Cardinal Mahony Voting in the Conclave? A: Now that we Catholics are gradually getting used to the notion that we have a Pope from Argentina named Francis, it’s only natural that many are also starting to wonder what it’s going to be like to have two Popes living at the same time. In the meantime, those irresponsible media outlets which (among other things) invented several wholly imaginary “front-runners” during the conclave, would similarly like now to invent “divided loyalties” in the Church, with some Catholics on the “side” of Pope Francis, while others allegedly remain on that of Pope Benedict. The fact is, while we are certainly not accustomed to the idea of a living former Pope (after all, it hasn’t happened for centuries! ), media sensationalists will be disappointed to learn that such a reality will not create insurmountable theological or canonical problems. Think about it: would Pope Benedict XVI ever have taken such an extraordinary step, if doing so would have caused a crisis in the Church? It’s true that there are no explicit provisions in the Code of Canon Law for this situation. But that’s because there don’t need to be! We need to keep in mind what the Pope really is: the Bishop of Rome. And once we manage to do that, the entire scenario becomes surprisingly clear. As was discussed in “Can a Pope Ever Resign?” there is a well defined legal procedure for the resignation of a bishop. 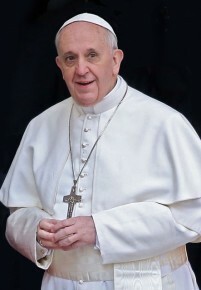 Canon 401 requires a diocesan bishop to submit his resignation to the Pope when he turns 75 (or earlier, if he is in ill health), although the Pope doesn’t have to accept it right away. Once the bishop’s resignation has been accepted, he becomes bishop emeritus of his diocese (c. 402.1). In the meantime, of course, the Pope selects a suitable successor, who becomes the new bishop of the diocese. When this happens, a diocese technically has two men living who are/were its bishops: one is the current bishop, while the other is the retired bishop emeritus. This is far from uncommon— whenever and wherever a new diocesan bishop is named because the former bishop retires, there are two living bishops of that diocese! To cite only a couple of examples, the Archdiocese of New York is currently headed by Timothy Dolan, but Edward Egan is the Archbishop Emeritus of New York, having resigned in 2009. Meanwhile, over on the other side of the world, the current Bishop of Hong Kong is John Tong Hon—but Hong Kong also has a Bishop Emeritus, Joseph Zen. Are there ever any “turf battles” between a current diocesan bishop, and a bishop emeritus of the same diocese? Hardly! Everyone involved understands perfectly that when a bishop steps down, his successor has charge of the diocese once he takes canonical possession of it (c. 382). The bishop emeritus knows full well that he no longer possesses the power of governance within his former diocese—because that power now belongs to his successor (cf. c. 381.1). There is absolutely no reason for concern or confusion here, because this happens all the time! Even when unusual situations arise, the authority of the current bishop, as opposed to that of his predecessor, is never questioned. An example of this was just seen in “Why is Cardinal Mahony Voting in the Conclave?” The current Archbishop of Los Angeles, José Gomez, recently relieved his predecessor, Roger Cardinal Mahony, of all his administrative and/or public duties as Archbishop Emeritus. Many people (including Mahony himself) thought it was an unwarranted action—but nobody could deny that as the current head of the archdiocese, Archbishop Gomez possesses full authority to do it. Anyone wondering whether former Pope Benedict might somehow establish an alternate power-structure in the Church, to rival that of the current Pope Francis, should remember one thing: Pope Benedict voluntarily resigned his office. Had he not freely chosen to do this, he would still be the supreme head of the Catholic Church at this very moment! If he had wished to retain power, he needn’t have done a thing—he already had it. The fact that he chose to step aside speaks for itself. On his final day in office, Pope Benedict made the already clear situation even clearer, when he told the College of Cardinals, “Among you… there is also the future Pope, to whom today I promise my unconditional reverence and obedience.” Journalists itching to create the news, rather than report it, should take note. Some inexplicable media furor was created when Benedict’s older brother, Georg Ratzinger, told the BBC that “when he’s needed he [Benedict] will make himself available” to the new Pope. Why other news outlets found this statement astonishing is anyone’s guess, because Monsignor Ratzinger was simply stating the obvious. Every Catholic cleric must “make himself available” to the Pope when necessary, as he is the superior of every single one of them! 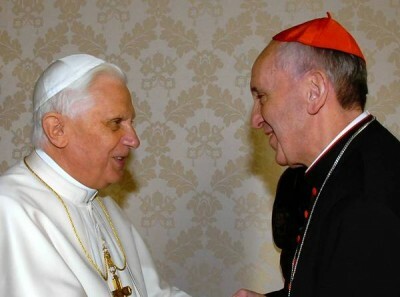 The fact that Benedict will obey Francis, coming when he is called and answering any questions that Francis may ask him, can hardly be construed as an indication that the former Pope wants to continue to be involved in church governance. On the contrary, it’s a clear signal that he does not. What would have been a far greater cause for concern would have been a statement that Benedict wouldn’t make himself available to the new Pope–for that would have constituted blatant disobedience to the supreme head of the Church! Again, there is simply no news story here at all. These canons were not formulated with the specific case of Pope Benedict XVI in mind, of course! 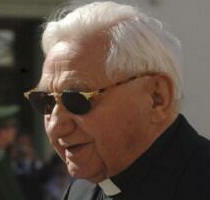 But they apply to his situation nevertheless, since the Pope is the Bishop of the Diocese of Rome. As was seen in “Can a Pope Ever Resign?” there is really only one substantive difference: when an ordinary diocesan bishop wants to resign, the Pope must accept his resignation before it can take effect—but if the Bishop of Rome offers his own resignation, it doesn’t need to be accepted by anybody (c. 332.2). This is simply because no one in the Church is higher-ranking than the Pope, so nobody has the authority to block his decision in any way. The decision is wholly his. Benedict also has every right to expect that he can continue living within the Vatican, since it is the seat of his former diocese. (This is why the numerous suggestions in the press, that the former Pope might return to Germany, make little canonical sense.) Strictly speaking, it’s true that Pope Francis could provide otherwise for Benedict, since canon 402.1 notes that the Vatican has the power to make different living arrangments for a retired bishop. But why would anyone reasonably expect this to happen in Benedict’s case? By arranging in advance to live in the former Mater Ecclesiae convent within the Vatican walls, Benedict actually gave his successor one less thing to have to worry about. Regarding Benedict’s financial support, it would technically fall to the Italian Bishops’ Conference to ensure that he is provided for, with the Diocese of Rome naturally taking the lead. As is the case with all retired bishops, this support is Benedict XVI’s right by law. It thus goes without saying that he will be given everything he needs. Michael’s question is relevant to this part of the discussion. He correctly notes that every cleric—including a former Pope!—must be incardinated into either a diocese or a religious institute of some sort (c. 265). 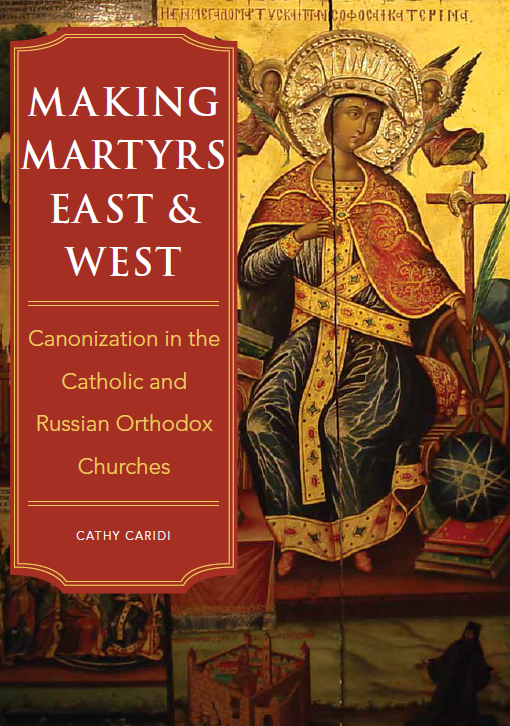 (The concept of incardination was explained in more detail in “Clerical Incardination: Priests for Life, Part I.”) It’s not spelled out too clearly in the Code of Canon Law, but a bishop is incardinated into the diocese which he heads, and a retired bishop remains incardinated there. That would mean, therefore, that Benedict XVI is still incardinated in the Diocese of Rome. The current Bishop of Rome is thus his superior—no surprise there! It would make no canonical or theological sense, in any case, for a former Pope to have to answer to anyone other than his successor. In short, any issues that we may have with this situation are psychological, rather than canonical. We’re simply not used to the idea of two living Popes—yet. Those irresponsible reporters mentioned earlier may be disappointed to hear it, but canonically, it’s really not a problem at all! Pope Francis clearly doesn’t anticipate any problems with it either. 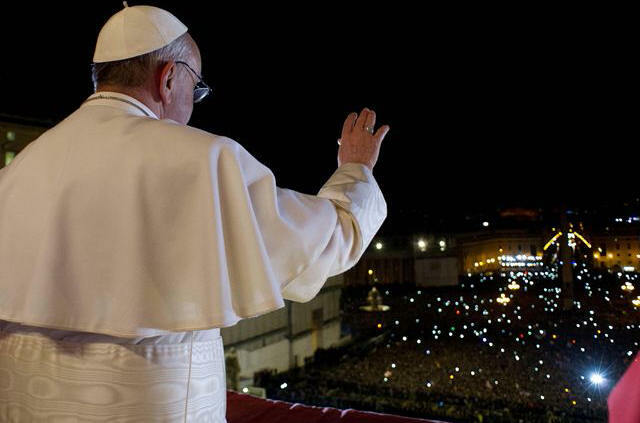 Those of us who crowded into St. Peter’s Square on March 13 to see him for the first time will always remember the first wish that he publicly expressed as Pope. First of all, I would like to offer a prayer for our Bishop Emeritus, Benedict XVI. Let’s all pray together for him, that the Lord may bless him and Our Lady may watch over him. This entry was posted in The Pope and tagged canon law, Catholic, Pope Benedict, Pope Francis. Bookmark the permalink.